Official Creedence Clearwater Revival T Shirt. The snazzy Creedence font and red lettering was used on a famous original pressing of the band's "Hey Tonight" / "Have You Ever Seen the Rain" single. 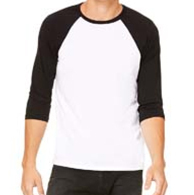 This CCR Shirt comes in a variety of colors. 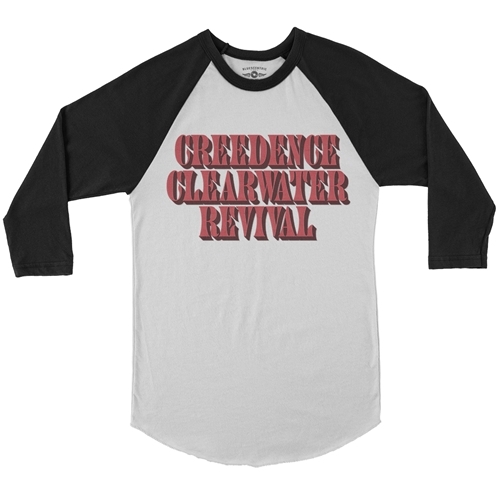 The official Creedence Clearwater Revival raglan baseball shirt comes in comfortable, lightweight 4oz 91/9 poly/ringspun cotton sizes up to 2XL.